Nancy, George, and Bess love Hamburger Herbie’s—after all, they know a good hamburger when they taste one! But when Regal Burger opens across the street with its games and flashy giveaways, Herbie is scared that his business will be ruined. Nancy, George, and Bess know they can’t let Herbie's close down. They have to do something, but what? The girls decide to make goodie bags that Herbie can give away at his restaurant. But when someone fills the bags with stinky cheese, Nancy smells trouble! She knows someone is up to no good, and Herbie is counting on her to sniff out the clues. 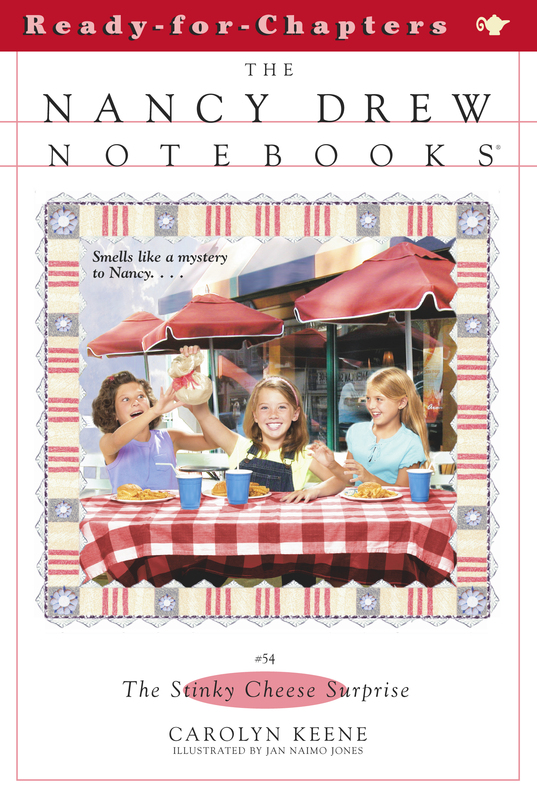 Can Nancy crack the case and save Herbie’s?